New Daf Articulated Fassi joins the fleet. We are delighted to announce the arrival of a brand new Daf XF 80t tractor unit fitted with a Fassi F660 AXP.26 crane. 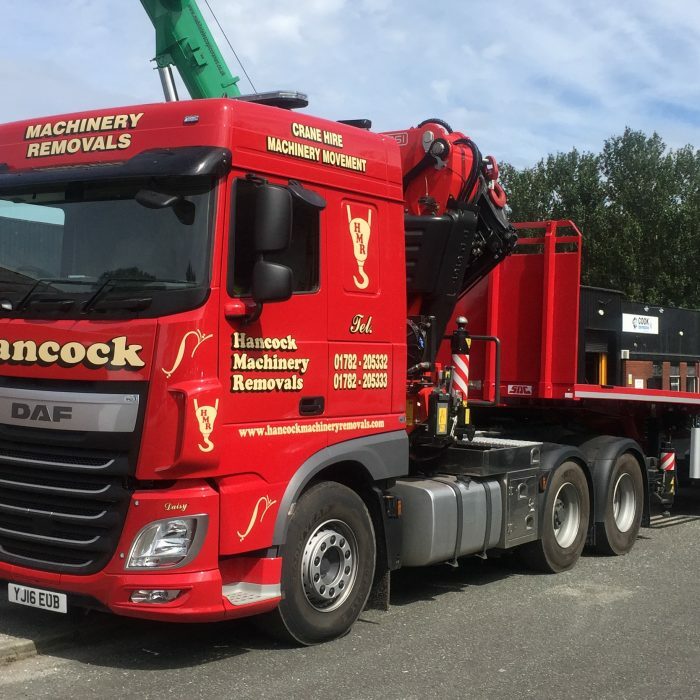 The Daf XF has now entered service with our sister company and machinery installation division Hancock’s. The unit is available to hire with a variety of trailers including a 10.6 mtr urban trailer with rear steering, a 3 axle step frame low loader and a 4 mtr de-mountable body. For further info on our mobile crane hire options, please enter our fleet page or call us on 01782 205333.